You are the owner of a medium-sized company. The exciting vision you have defined for your people is innovative and capable of achieving a sustainable competitive advantage in your market. The rank and file employees are enthusiastic and get it; your C.E.O doesn’t. It’s not an uncommon scenario in business today, especially family-owned enterprises. The well-meaning owner promotes a loyal employee or middle manager to the C.E.O.’s role and expects the vision to be realized. It never happens. While the rookie leader-in-charge has earned the confidence of the owner by having demonstrated departmental competence in his or her field of endeavor, their across-the-board industry knowledge is fragile and their leadership expertise is often lacking. As time passes, the C.E.O. staffs up middle management with inferior talent and even less leadership acumen. The downward spiral of unmet goals, manipulation of numbers to save face, and increasingly poor morale gradually sends the owners vision to the prison of disappointment and mediocrity. To make matters worse, the employees start losing respect for the owner. They observe the C.E.O. 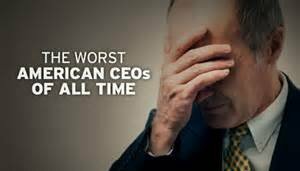 and the middle managers corrupting the business strategy, making poor decisions, and terminating personnel that champion the owner’s dream. Trust but verify. Don’t be so hands-off that you lose touch with those key achievement indicators that drive your vision. Employ objective experts as well as your intuition in finding the right C.E.O. for your company. Establishing a vision for where you want your company to go isn’t enough. Set measurable, achievable, and time-related goals and let them be the guides that determine organizational progress. Implement a 360-evaluation process for your leadership team and make whatever adjustments are necessary based upon the results. Conduct employee surveys to discern the level of engagement of your people. Require middle managers to develop individual personal growth and development plans for their direct reports and to use coaching as a tool for performance improvement. Don’t let your organizational development naiveté lead you to conclude that a loyal department head can morph into the C.E.O. that will bring your company’s vision to fruition. It’s a risk that is not worth taking. Tom McQueen has over 20 years experience in the automotive industry. He is PDPAuto’s automotive industry expert and has consulted with over 400 dealerships on performance improvement and employee engagement. Tom is also an award-winning author and executive coach.